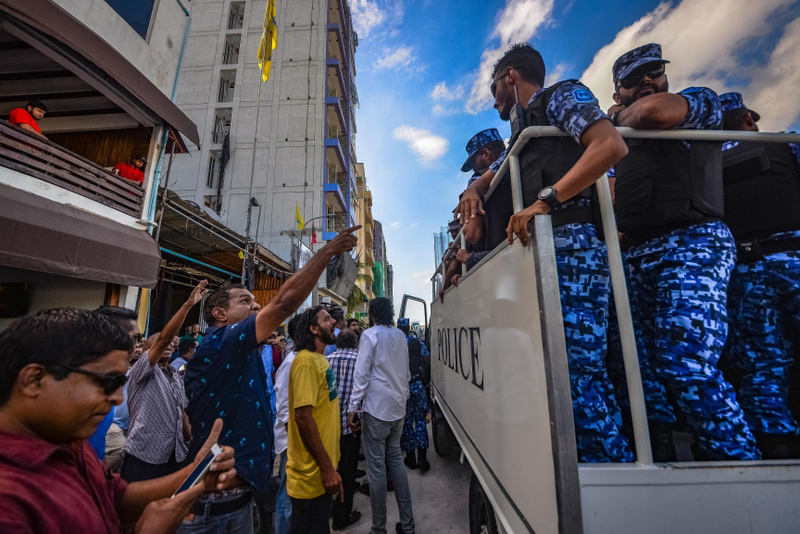 An amendment has been submitted to authorize the police to enter private properties without a court order. Under the current law, police is required a court order to enter a property during the course of a criminal investigation if they do not have the permission of the owner. According to the amendment filed by the MP for Feydhoo constituency, Ibrahim Didi, on behalf of the government, if an investigative authority has to enter a property regarding a criminal investigation, only the Maldives Police Service has the authority has the legal presidence to enter without a court order. MP Ibrahim Didi's amendment states that informing ahead before a search eliminates the purpose of the said search and so the Police will have the authority to enter and search a private property without warning. The amendment also gives the Police the authority to enter private properties and stay stay for a duration applicable to an investigation. Feydhoo MP also submitted a number of amendments to the procedure in regards to detainees and pressing charges on those who are detained and released. As the law stands now, charges has to be pressed against a detained person within 30 days and 45 days if suspect is released. The duration of the investigation and processing is also in that duration. The amendment from MP Ibrahim Didi states that the investigation process has to be completed within 30 days if the suspect is detained and 45 days if the suspect is released. And charges has to be brought forth within 15 days after the case has been sent to the Prosecutor General's Office. MP Ibrahim Didi also submitted an amendment to set tax evasion, bribery, assault with dangerous weapons, attempting to overthrow the government through riots and seeking mercenaries as major crimes. Last year, the government presented a bill of amendments to these law but was withdrawn due to the concerns from the MPs.